To generate more high-quality conversions for car dealers, LotLinx has expanded its VS product suite with two new CX solutions designed to enhance and customize the customer experience, the company announced on Thursday. The new products include CX - Photo AI and CX - Amplified Mobile Pages. Both have been equipped to extend VIN-specific consumer engagement and stimulate more profitable digital advertising campaigns, according to LotLinx. CX - Photo AI can boost underperforming ads with optimized stock photos using artificial intelligence, and CX - Amplified Mobile Pages offers dealers mobile-friendly VIN landing pages optimized to drive high-value conversions. 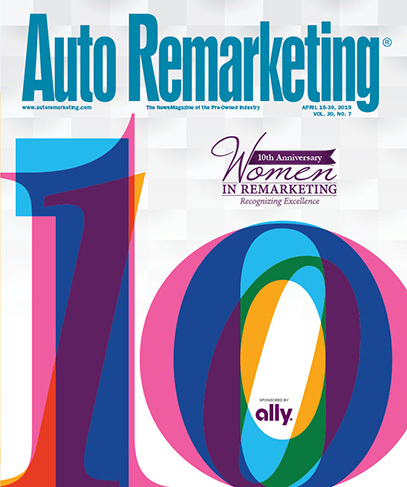 “Because today’s online car shoppers are 90 percent more likely to view an ad that contains an image, and will wait just 3 seconds for a page to load before abandoning, the logical next step for LotLinx was to release the consumer experience-oriented CX suite,” the digital advertising technology company said. Photo AI was created to both formulate more relevant and visually appealing ads for viewers and detect when ads are running without an image, according to LotLinx. “As global consumers rely more on smartphones for their shopping, AMP delivers faster, conversion-enhancing pages, allowing dealers to make the most out of mobile,” the company added. Additionally, LotLinx recently expanded its VIN-specific solutions for Facebook to include VS - Lead-Enabled Retargeting and launched the LotLinx TURN platform earlier this year.